I wanted to mix up the traditional Top 10 list this year. Most lists center on one media: “Top 10 Albums”, “Top 10 Movies”, “Top 10 Books”, and so on. Since I know some of you don’t just like type of media I wanted to broaden it a little and give you a fuller picture of the things I’m thankful for from 2013. I'll start with my favorite books, scroll down for music, food, and memories. There are two problems that a lot of books on God’s grace run in to. On one hand, some are so mystical or so subjective that they feel like a big warm hug but don’t stand on a firm biblical foundation. They’re all heart and no head. They’re a sugary snack lacking nutrients. On the other hand, some can be so academic and theological that they are like a robot telling you about love. They’re all head and no heart. They’re like field rations in a tin. 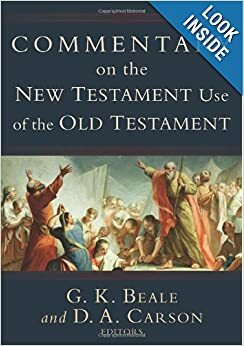 The reason I love this book is because it provides a firm, biblical and theological foundation for God’s grace while also engaging the heart and reminding you of the depth, height, and breadth of God’s grace all over again. It is a feast. I’m sure that I’ll be returning to this book again and again. What I love about reading Stott is he writes with academic precision while being warmly pastoral. 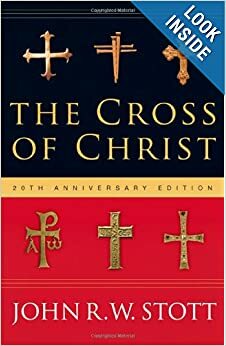 Being a seminal work on the subject of the cross of Jesus, Stott’s book is dense and thorough, but in a way that leads not just to filling your brain with information but leading your heart to worship. I’m thankful for this one. This beast is so big it could not just stop a door, it could stop a bullet. But, it is one of my favorite references in pulling a deeper meaning from a biblical text, showing the unity of scripture, and showing that the Bible is indeed all about Jesus (Luke 24). I use it nearly every sermon. For a pastor or teacher, this will serve you well. I grew up Lutheran so, in a way, a familiarity with formal liturgy has been ingrained me from the first sprinkle of water. But, I know how a high church liturgy can, in some cases, be more routine than ritual, or more about the identity of the denomination than about Jesus and forming disciples. And, on the other hand, many churches go to the other extreme of being completely unintentional about their worship and just end up doing entertainment that would make a community theater group chuckle. Cosper falls and leads right where I’d like to go, a modern liturgy. 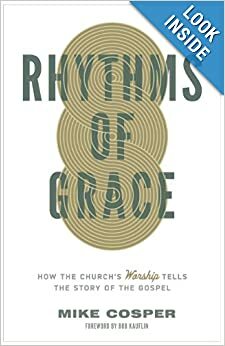 “Rhythms of Grace” has worked alongside James K.A. Smith’s “Desiring the Kingdom” for me in the past year to help form Cross of Christ Church’s worship. 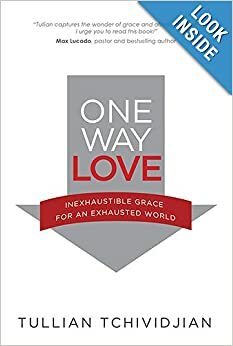 I hope more worship pastors and leaders read this book. It all started with us showing our daughters clips from the Narnia movies one day. That one day turned in to a couple months. 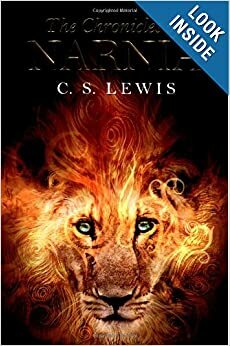 And all of the discussions about Aslan made me pick up our hefty Narnia volume for the first time since junior high. I’m so glad I did. I don’t need to add anything to the reputation of these books. All I’ll say is that I can’t wait to read them with my daughters. Speaking of Lewis, I’ll say what I’ve been saying for years: Dustin Kensrue is the closest modern, musical equivalent to CS Lewis that we have. 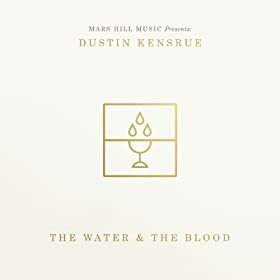 The pictures Dustin can paint, the huge theological concepts he can simplify, the turns of phrase, the meter he uses, he sincere emotion with which he sings - all of it make him the best Christian songwriter in the Church right now. Check out “It’s Not Enough”, read Ecclesiastes, and see what I mean. Sigur Ros led me to Explosions in the Sky, which led me to Album Leaf, which led me to This Will Destroy You, which finally led me to Caspian. 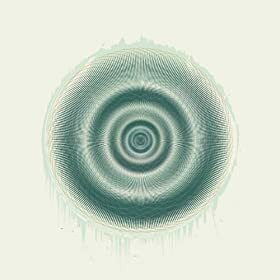 A good comparison is that Caspian is a good mix of This Will Destroy You and Hammock. The obvious highlight of the record is “Gone in Bloom and Bough” which I’ve had on repeat for full days at a time. (Sidenote: I was excited to see my old friend Fred Feldman put this out. Good job, Fred!) 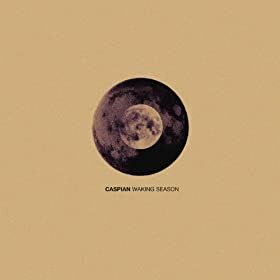 Check out Caspian on iTunes or on a streaming service that pays more royalties to artists than Spotify. Cloudkicker is a one-man-band that blends the seemingly incompatible categories of metal and instrumental music. This is a great soundtrack for writing (your WPM just went up), studying (your endurance just went up), riding a bike (your MPH just went up), or driving at night (yes, there are specific records for that). Check out “Seattle”. The caption for the picture above could be "conveyor belt of happy". Taco Asylum is a reliable date night option for me and Kim, and a spot I’ll consistently take meetings. Yes, its a little pricey but the tacos and beer are fantastic. 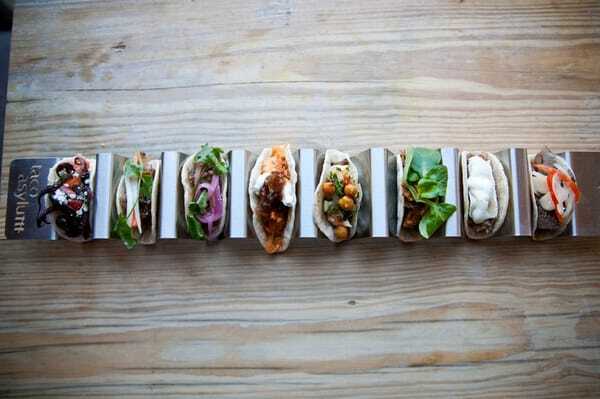 When it comes to tacos my favorites are the short rib, pork belly, and PB&J. But, for the best bang for the buck, you should definitely get the nachos with bacon. Insane. My good friend Lee works here and he’s introduced me to a lot of my current favorite beers as well: Tricerahops, G’Nite, and Hopnotch. I double dog dare you to try the Ghost Chili tacos and hot sauce. 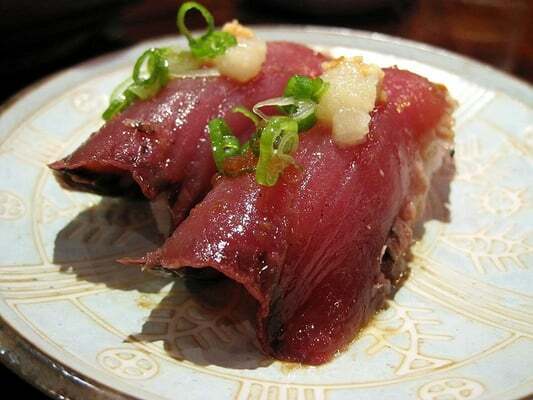 If you live in Orange County and love sushi, and haven’t been to Nana San, you’re missing out. Yes, I know favorite sushi places can be completely subjective but I really haven’t tasted fresher fish in Orange County. If you have, let me know! Be sure to get the salmon with ponzu and the red snapper with sea salt. Their service staff are all incredibly nice as well. It is a small restaurant so be sure to get there right when they open or after 8pm to avoid the typical 45min-1.5 hour wait. Hold on, hold on...look at that burger. 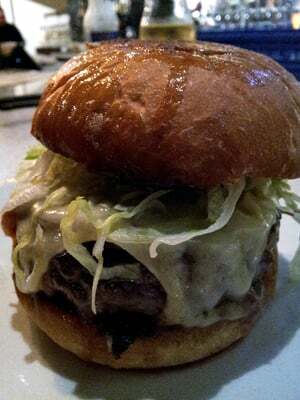 The food at Playground is awesome but there’s one thing that is not on the menu that you need to get - the best burger in Orange County. I took Kim here the night we decided to plant Cross of Christ. We’d been praying, talking, and agonizing over the decision for months. After we both confirmed we felt like that was where God was leading us, I gave her a present of an anchor necklace (forged on an anvil!) and the book The Church Planting Wife. That night, sitting at the bar at Playground, we started to really dream about what doing another church plant in Orange County could look like. 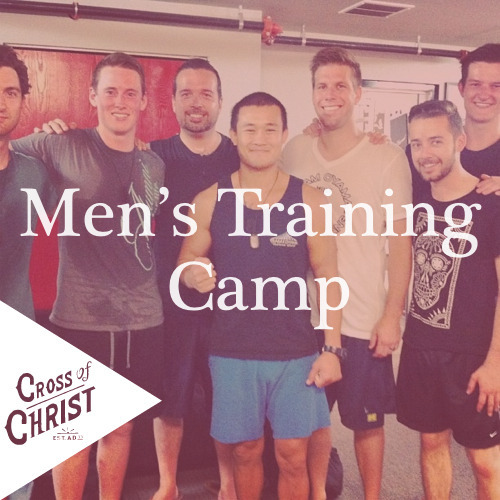 We came in anxious and left excited to see what God would do. Besides the restaurant and meal holding a special place for me and Kim, I’d wager the burger is the best you’ll ever have. My friend Brad House used to stay with us on trips regularly and often half-joked that we should start a food truck called “The Bogardabus”. First of all, if you saw our grocery budget every month you’d probably shocked at how far my wife can stretch a dollar. Aside from her thriftiness, Kim is a thoughtful and talented cook. She uses her talents generously with everyone who comes to our house. Whether it is homemade fish tacos (she can replicate Bear Flag’s “Tommy Sauce”! ), some crazy savory french toast with chicken and asparagus, or desserts like lemon bars or banana pudding, if you’ve been to our house, she has probably fed you. If any ladies need help on meal planning and hospitality, Kim is a great resource. Our family’s trip to Texas in September was a really special trip for us. We got to get all “Texas” and ride in a four-wheeler through untamed woods, eat fried deer steak, and shoot weapons in the backyard. But, better than that, we got some really good quality time with family we don’t get to see very often and I was able to see where Kim grew up. It is one thing for me to know that Kim was raised by a single mom in town in East Texas with one stop light, it is an entirely other thing for me to see it, explore it myself, breathe its air, talk to its people. It made a whole aspect of ‘who’ my wife is, her past, come alive. It was getting to know a part of her in a whole new way. I’m really thankful we were able to do that. I love Jesus and I love Orange County. I’m passionate about praying and working towards God doing a work of Gospel Renewal again in our great county. That doesn’t mean church planting isn’t often really scary, because it is. But what it means is I have faith that God will do that and I hope our church can play a part of it. I’m already so thankful by the generosity, grace, and unity extended to us by like-minded churches in Orange County, LA, and Long Beach. I’m so thankful for the faithful, tenacious, caring, unique, and fun (!) core group that God has brought to help build this church. Stepping out was scary and the transition was hard, but I can already see so much grace I cannot wait to see what this church looks like in a year. This one was difficult. 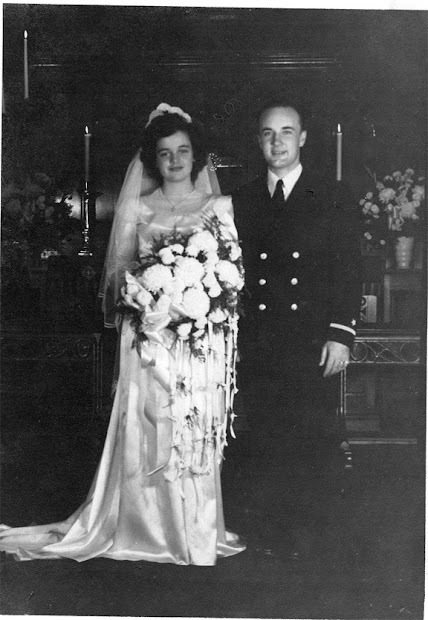 My grandpa died this summer. He was the patriarch of my dad’s side of the family. It was hard to watch him be sick, suffer, and die through the months leading up to his last breath. But, I’m sure our whole family is thankful that we all got to be there to say goodbye and send him off to be with Jesus. However imperfect, I’m thankful for the legacy of faith he left to our family. I’m not gonna lie, getting up at 5:15 twice a week to jump in to MMA training at 6am was hard. But, the friendships I forged with these men and how I got to watch them grow as men, husbands, fathers, and leaders were inspiring. I’m excited to see what these men are doing in 5 years. Best of all, our friend and coach, Ron, met Jesus and professed faith in him this year! It has been incredible to watch all the work God has done in his life in just a short amount of time. Just a couple weeks ago he humbly and boldly preached the Gospel to a guy who was struggling with his faith, reminding him of who Jesus is and what he’s done. I’m excited to see what God will continue to do in and through Ron.